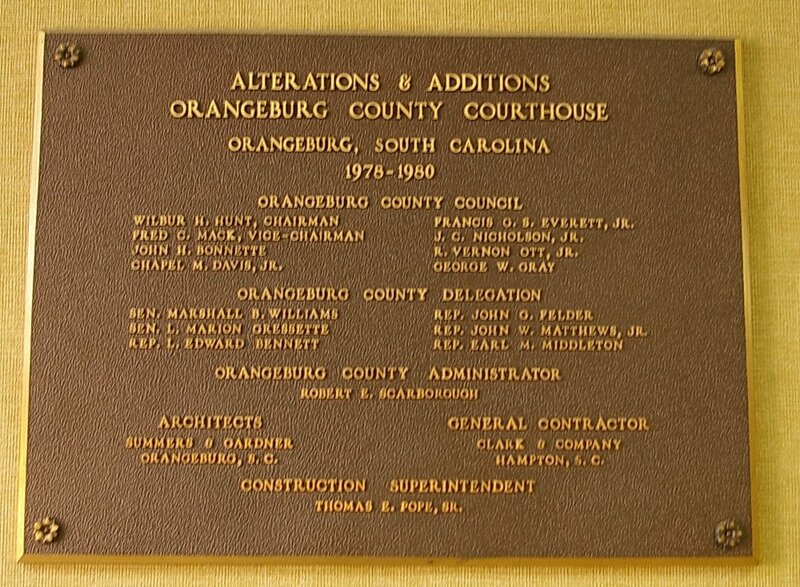 Orangeburg County is named for William V of Orange, who was the son-in-law of George II of Great Britain. 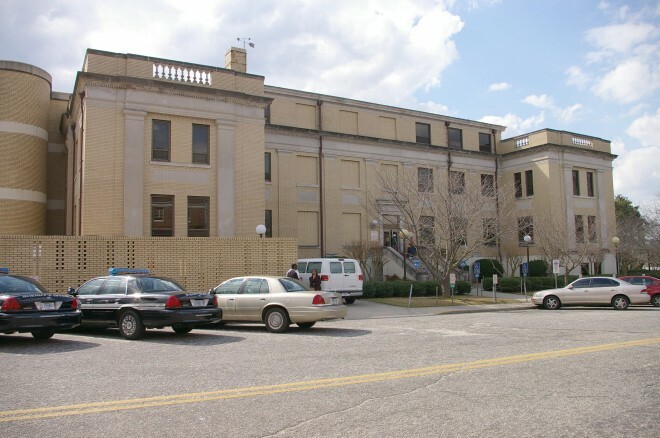 Description: The building faces east and is a three story buff colored brick and concrete structure. 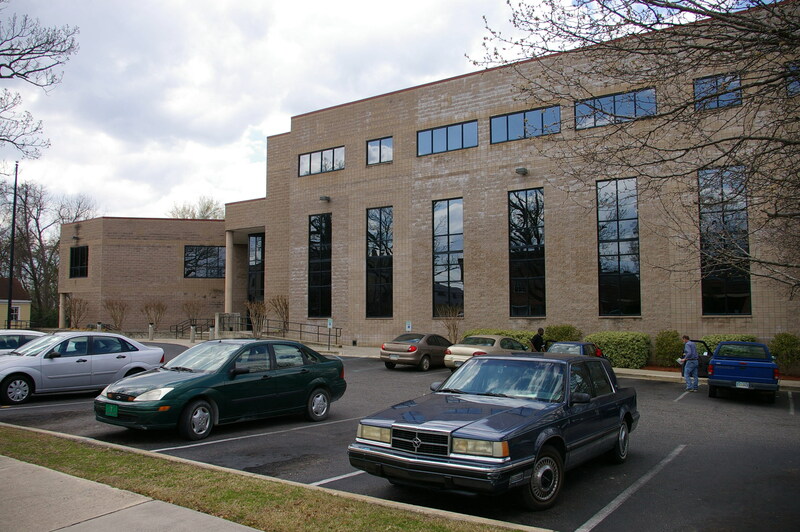 The building has a central entrance. 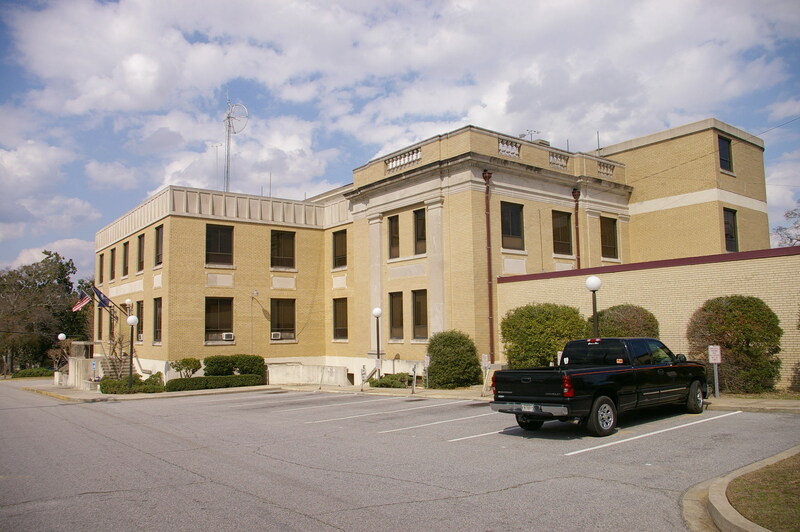 The south and north wings extend from the main building. The roof line is flat. The building was renovated from 1978 to 1980. 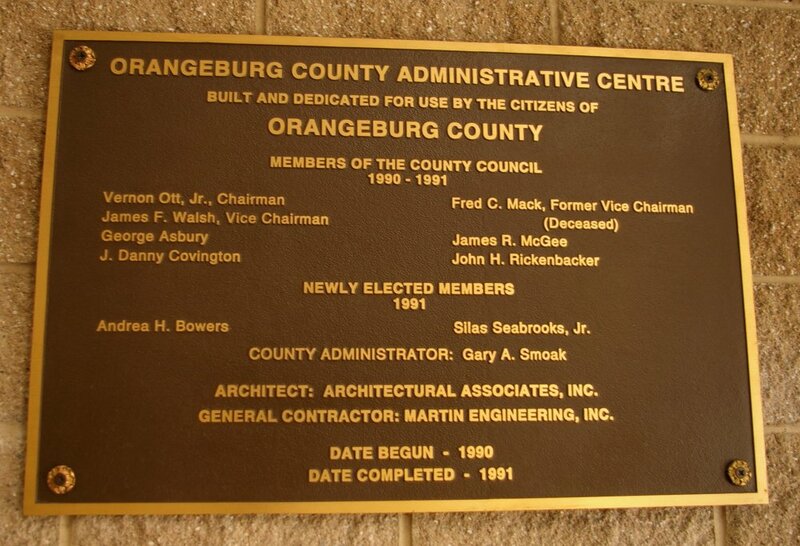 The architect was Summers & Gardener of Orangeburg and the contractor was Clark & Company of Hampton. Note: The first courthouse was built in 1772 and was destroyed by British troops during the American Revolutionary War. 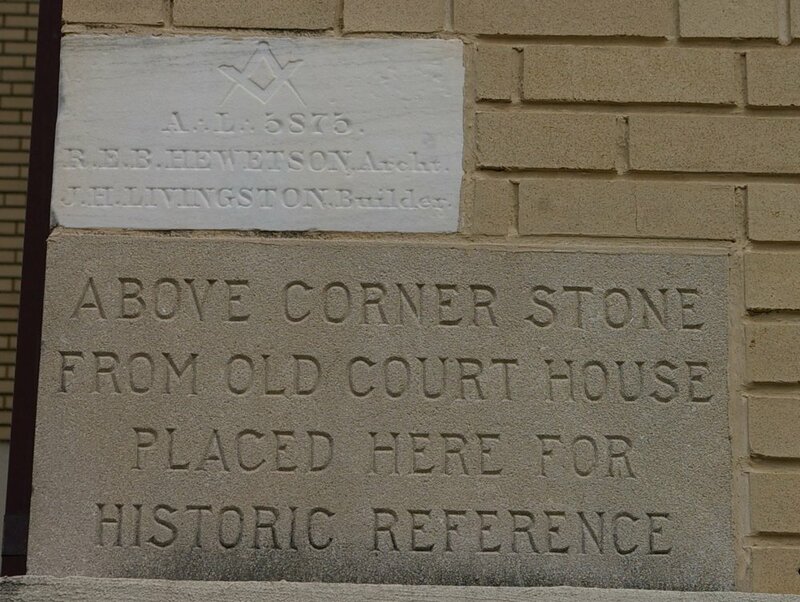 The second courthouse was built in 1782 and replaced in 1826 by the third courthouse built on Courthouse Square. 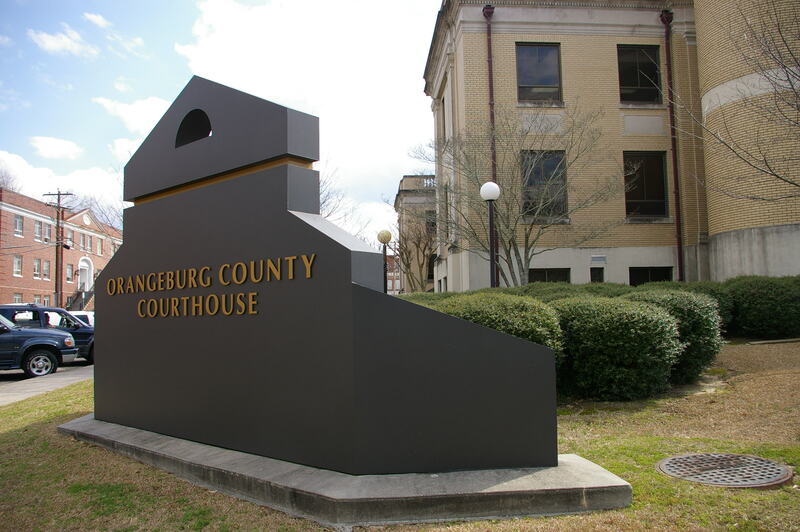 The third courthouse was destroyed by Union troops during the Civil War in 1865. The fourth courthouse was designed by R E B Hewetson and the constructed by J H Livingston in 1875. 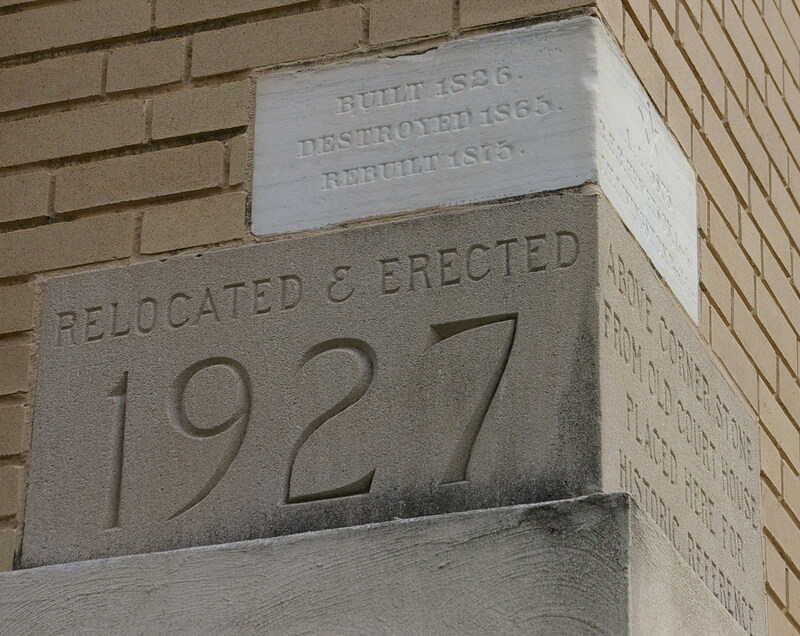 The fifth and present courthouse was constructed on the site of the Trinity United Methodist Church and the former courthouse was razed and became Memorial Park. Description: The building faces southeast and is a three story buff colored brick, glass and concrete structure. 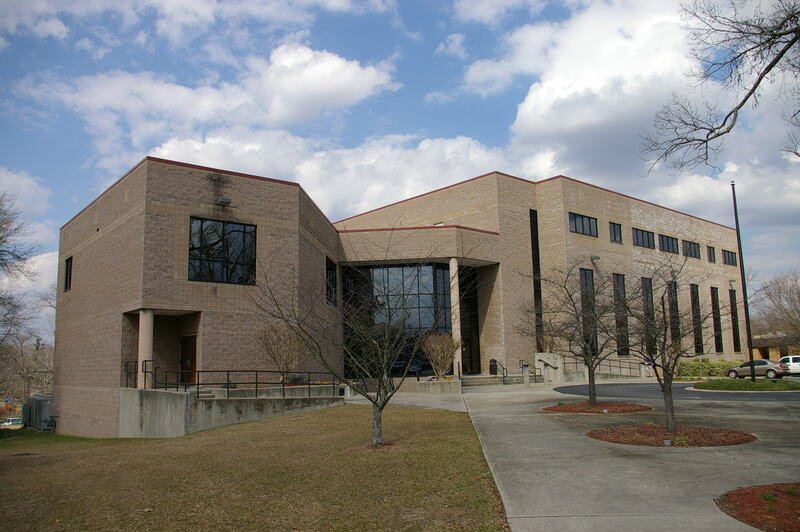 The southeast front has a glass paneled entrance towards the south with a rectangular section on the north side. The roof line is flat.